Newcomer Family Obituaries - James E. Ward 1930 - 2019 - Newcomer Cremations, Funerals & Receptions. James E. Ward, age 88 of Beavercreek, passed away Wednesday, April 10, 2019 at Soin Medical Center. He was born August 3, 1930 in West Van Lear, Kentucky the son of McKinley and Fannie Ward. He is preceded in death by his parents; wife, Inge Ward; sister, Goldie Cook; brothers, Paul B. Ward, Gene Ward and Elmer Ward. 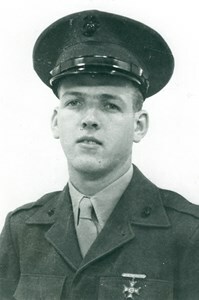 James was a veteran of the United States Marine Corp. He retired from General Motors. James is survived by his daughters, Linda K. (Mark) Bryant, Debra A. (Clyde) Collins; brother, John Curtis (Penny) Ward; sister, Ella Mae Smith; grandchildren Tom (Mary) Kelsey, Stephen (Rachael) Bryant and Daniel Bryant; great grandchildren Devan Kelsey, Cameron Bryant and Taylor Bryant. He is also survived by numerous family and friends. Private graveside service will be conducted at Byron Cemetery. Add your memories to the guest book of James Ward. God Bless/RIP. A heartfelt Thank YOU, James for your service in The CORPS "The gates of heaven are well guarded NOW, by another United States Marine..... And Semper Fi.